Today​ after delicious breakfast, you have the day at leisure, so you can spend the day exploring Singapore on your own. You can begin your day with a visit to the ArtScience Museum. Located at the Marina Bay Sands, the museum is an architectural marvel which holds world-class exhibitions and is known for beautifully using art as a way to explain science. Once you have explored the museum, you can head to the nearby Gardens by the Bay, a nature park spanning over 250 acres. The park is known for its Flower Dome, Supertrees, Cloud Forest, and Dragonfly Lake, among many other attractions. As evening sets, you can take a cruise down the Marina Bay, catch SEA's largest water and light show and end your day with a scrumptious dinner at Makansutra's Gluttons Bay. Today​ after delicious breakfast​, you have the day at leisure, so you can plan to visit some of the attractions in Singapore on your own. If you wish to indulge in shopping, the best place to visit is the Orchard Road, Asia's most famous shopping street. A 2.2 kilometre-long boulevard, with over 30 malls and department stores, an array of entertainment hubs, tiny boutiques, restaurants and cafes, Orchard Road never ceases to amaze. 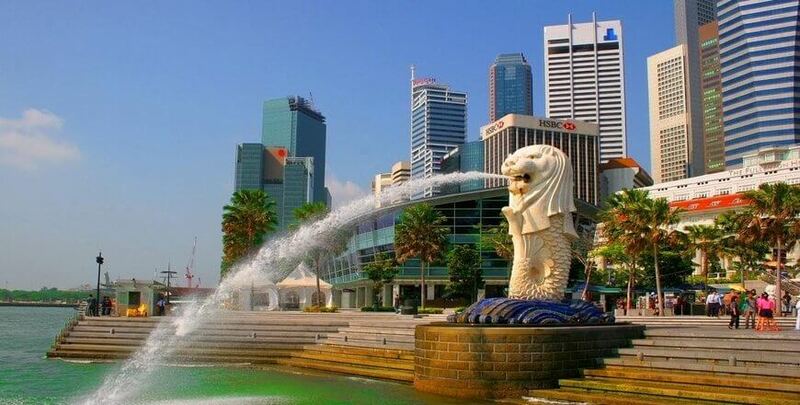 Alternatively, you can also head out to explore Chinatown, a historic market filled with traditional shops as well as equable stores and modern cafes, followed by a visit to Little India where you will find a plethora of Indian Restaurants. Later in the evening, you can visit the mesmerising Clarke Quay, a unique landmark near the Singapore River, home to iconic dance clubs, live music venues, rooftop bars, restaurants and more. On this day​ after breakfast​, bid adieu to Singapore and check-out from your hotel. You will then get a transfer to the airport from where you can board your flight back to India.